One of the most accessible natural areas in Alaska is Chugach State Park. This vast park allows visitors to explore the Chugach Mountain Range just minutes from the population centers of downtown Anchorage, Palmer, or Girdwood. 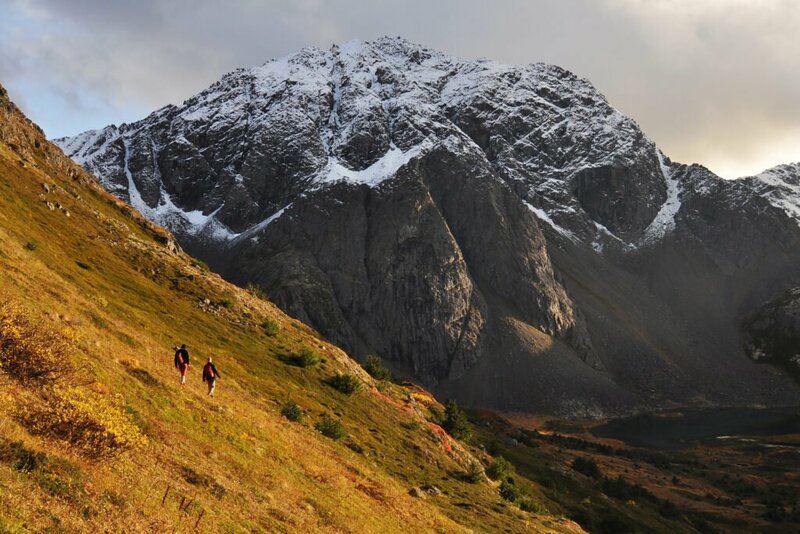 Chugach State Park offers access to all levels of adventure including hiking, biking, fishing, camping, glaciers, gold panning, berry picking, horseback riding, snow machining, and countless scenic areas. 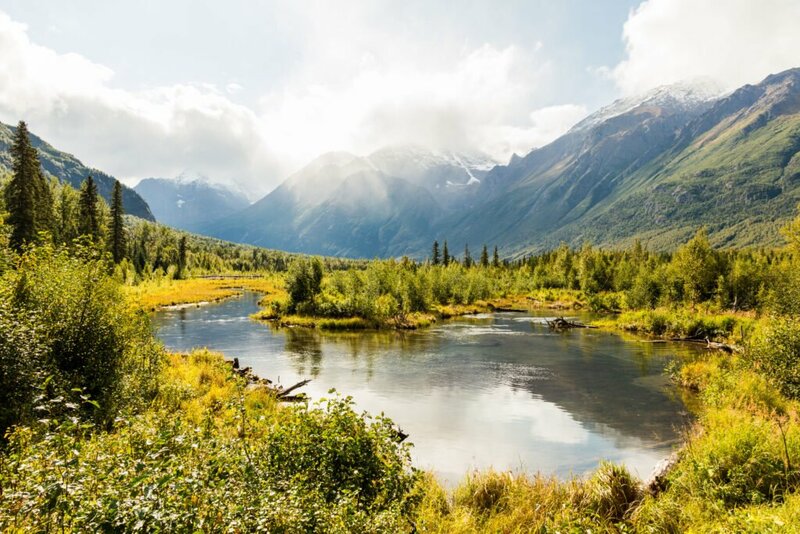 Chugach State Park—the third largest State Park in the US—encompasses 495,000 acres with environments ranging from the coast of Turnagain Arm to the alpine tundra on the high peaks overlooking Anchorage and the Cook Inlet. One of the most impressive aspects of the Chugach Mountains is that they are over 8,000 feet in elevation from sea level at the Cook Inlet. Bashful Peak is the tallest mountain in the park at 8,005 feet. Chugach State Park can be broken down into roughly 4 regions to explore. The Turnagain Arm area is accessed by the scenic Seward Highway along the southern edge of the Park. The park is bounded roughly by Girdwood to the east and Anchorage to the west. Access to Crow Pass (the historic trail across the Chugach Mountains to Eagle River), Bird Valley, Indian Valley, Falls Creek, and McHugh Creek trailheads are along this stretch of the Seward Highway. Beluga Point is a popular viewpoint along the Seward Highway. Another good vantage is Bird Point, where you can watch the bore tide come in. The bore tide is created because the tide (the second highest tide in North America) comes in so fast in this location that it produces a linear wave across the Turnagain Arm. Bore tides happen every day on the Turnagain Arm, most producing modest waves. Sometimes extreme sport surfers and kayakers ride the icy waters of the bore tide wave. You may also see beluga whales after the water gets deeper or harbor seals that sometimes ride the tide in. Note: NEVER walk out onto the mud flats. People have died after becoming stuck in the thick mud and silt and subsequently drowning in the tide! The Hillside area has an extensive trail system and can be accessed by the Flattop Mountain Shuttle that provides round-trip transportation between downtown Anchorage and the Glen Alps Trailhead. Flattop Mountain is one of the more popular peaks for hiking in the state, giving views of the Cook Inlet and the Alaska Range in the distance. The Eagle River access point gives access to the central portion of the park. 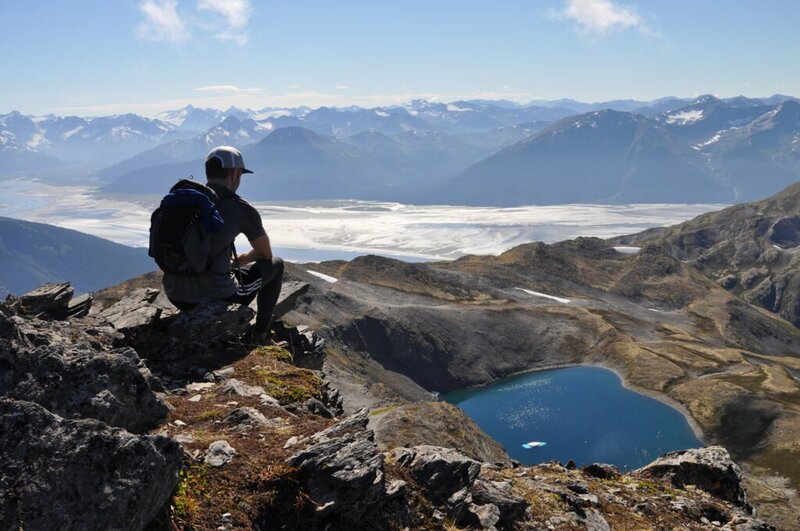 Crow Pass connects over to Girdwood, a 28-mile hike with outstanding views of wildlife, several glaciers, and alpine peaks. The Eagle River Nature Center hosts educational programs and outdoor excursions. Mountain goats and Dall sheep are often seen in this area, as well as moose, black bear, grizzly bear, and numerous birds. The Arctic Valley area offers extensive trails with light traffic. Views of Rendezvous Peak, Mount Gordon Lyon, Eagle River, the Cook Inlet, and even Denali on clear days as well as the multitude of wildflowers make for excellent photography. 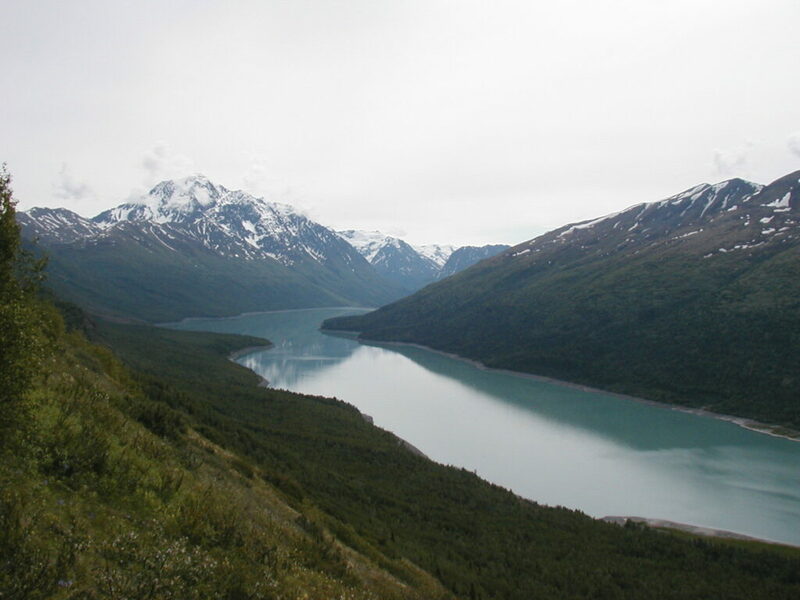 Eklutna Lake and vicinity are access points for the northern part of Chugach State Park. Access up the Lakeside Trail to Eklutna Lake and the Eklutna Glacier can be by foot, bike, ATV, horseback, or snowshoes, skis, or dogsled in the winter. An estimated 80% of Anchorage’s drinking water comes from the Eklutna Glacier, and the recession of the glacier during the past decades is a source of concern for city planners and scientists. Small craft boats (non-motorized) are allowed on the lake and bush planes can land at the southern side of the lake on an unpaved airstrip. Thunderbird Falls is a highlight of the area with a short walk through birch and cottonwood trees before finding a 200-foot waterfall. The State of Alaska operates three RV campgrounds that give access to Chugach State Park. Campgrounds are in wooded areas with fire rings, picnic tables, water and latrine services. Eklutna Lake Campground does not take reservations and has 50 sites. The Eagle River Campground has 57 sites and a dump station. Bird Creek Campground on Turnagain Arm is also first-come, first-served and has 24 sites and a paved parking lot for overflow camping.